Fans of Star Wars or conceptual artwork should immediately recognize the name Ralph McQuarrie. This man was responsible for all of the original and beloved Star Wars concept. In 1975, McQuarrie was asked by the creator of Star Wars, George Lucas, to illustrate several scenes from his film script. Unfortunately, McQuarrie passed away in 2012, but his legacy still lives on and his work continues to play an influential role in the Star Wars universe. In the current animated series, Star Wars: Rebels, tons of original works from McQuarrie are directly being used. 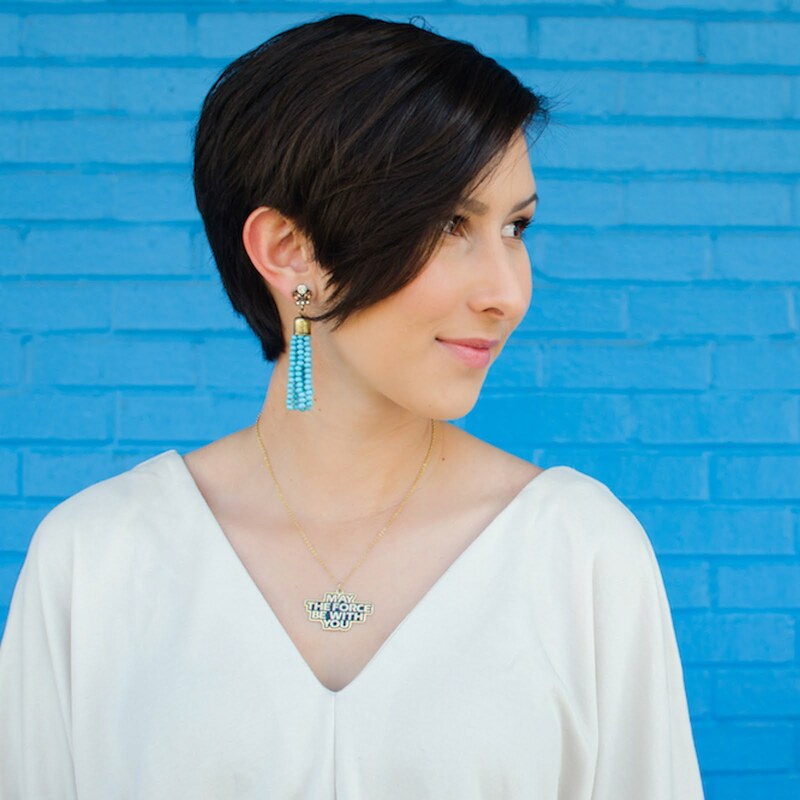 Here are just a few examples of how McQuarrie's legacy is living strong. 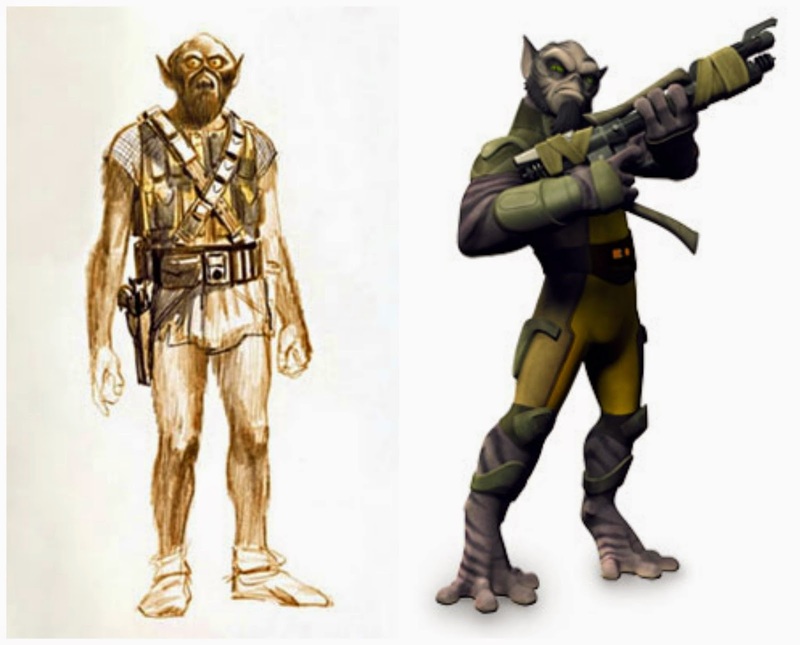 Garazeb Orrelios, the rough and tough Lasat known as "Zeb" from Star Wars: Rebels, is a perfect example of how an original character concept from Ralph McQuarrie is being used now. As seen in this side-by-side image, Zeb's design was contrived from unused concept art of Chewbacca. It's not a direct rendition as Zeb's lower half is different from the Chewbacca sketch, but his facial features are almost identical to McQuarrie's concept. 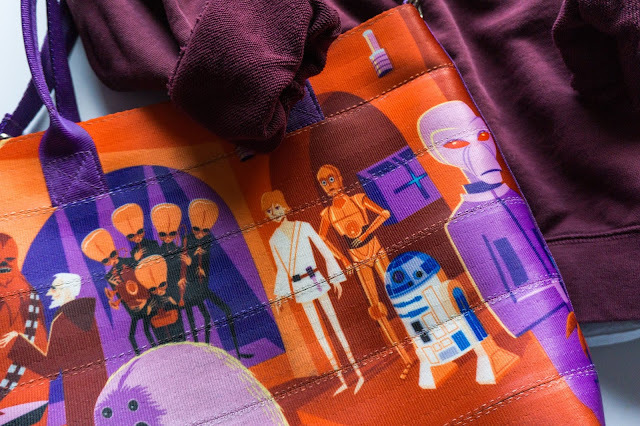 C1-10P aka "Chopper" is also taken from a McQuarrie character sketch. 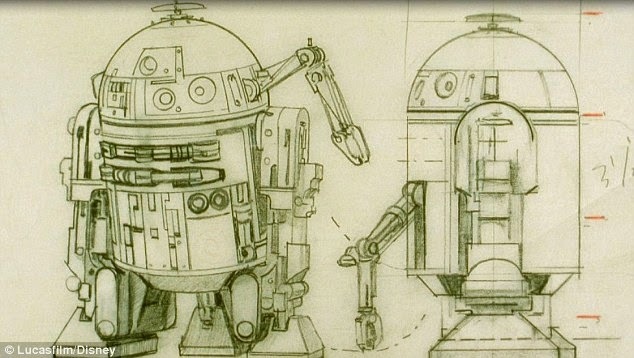 The image below shows how R2-D2 was originally drawn. R2-D2 turned out to look a lot like McQuarrie's concept, but with less arms sticking out from his dome and his legs are different. Chopper inherited these arms from the dome and almost the exact legs from the sketch. Chopper is also a little shorter than the finalized version of R2-D2, which was most likely taken from this concept as well. This character would probably be considered one of the more abstract characters of Star Wars: Rebels but he also resembles something that came from the mind of McQuarrie. Azmorigan, who appears in the episode "Idiot's Array", was actually a concept for Jabba the Hutt. 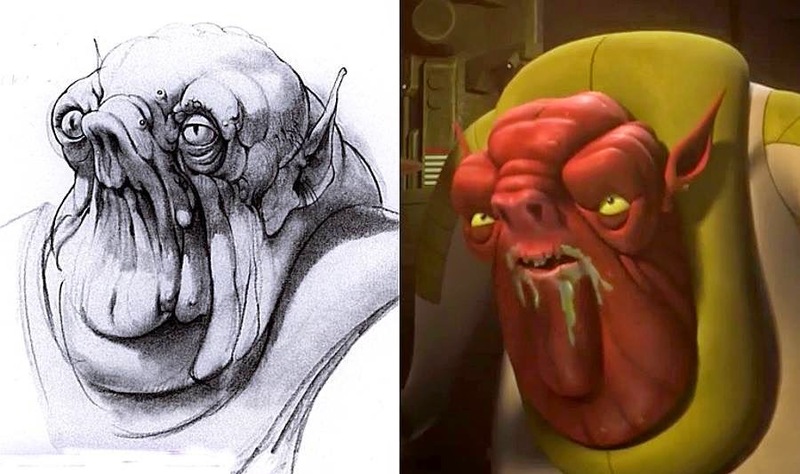 Azmorigan is an exact replica of McQuarrie's character design. One thing that McQuarrie was very well-known for is painting landscapes and architecture. He painted many different planets and cities within the Star Wars universe and was able to distinguish all of these places through his art. One planet that he painted was Alderaan. 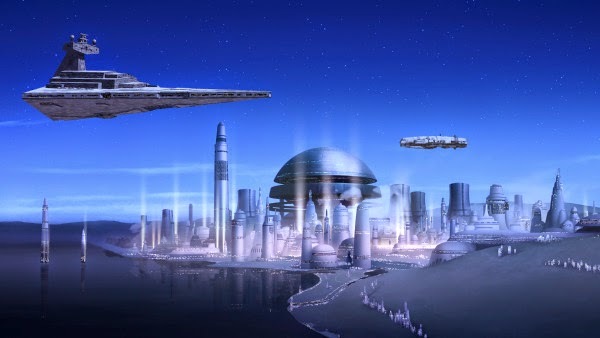 Although the concept was never used in the Star Wars films, it was used in Star Wars: Rebels as the planet Lothal. Designed as an elegant weapon for a more civilized aged, McQuarrie's lightsaber design has a very unique look. It starts out wider at the base and becomes much skinnier, almost to a point, at the very end. Lightsabers from the Star Wars films have a very straight appearance, rather than starting out wide and reaching a sharp tip. They also look a little bit thicker than those of McQuarrie's concept art. However, in Star Wars: Rebels, they reach a very classic conceptual look. They are thinner, longer, and a little wider at the base, much like McQuarrie's saber design. Although The Force Awakens has yet to arrive in theaters, Star Wars fans have seen some of McQuarrie's touch on the new Star Wars film through teaser images and promotional costume displays. 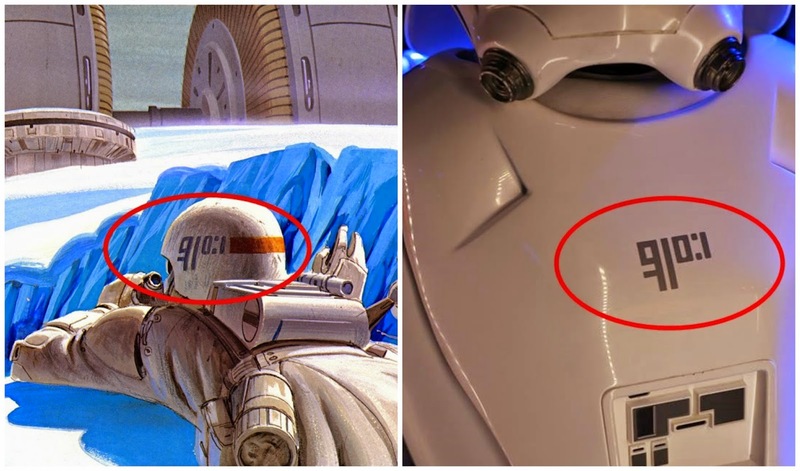 The logo on McQuarrie's painting of a snowtrooper that was originally designed for The Empire Strikes Back has been used on the chest armor of the Episode VII snowtrooper. 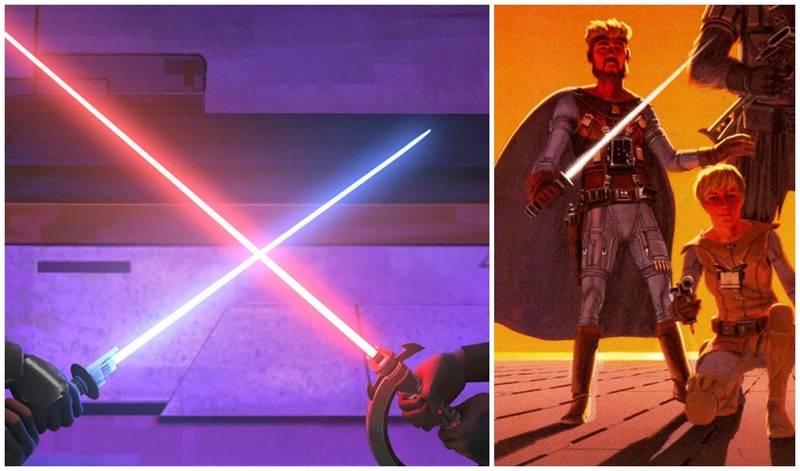 Those are just a few examples of McQuarrie's influence in Star Wars: Rebels and The Force Awakens. In order to understand and appreciate the style of the newer Star Wars content, it's important to be aware of the classic influence.